If you live in Utah, you might think you’ve seen the definitive battles to identify the line between church and state. Boston University Law School professor Jay Wexler is here to tell you that you ain’t even seen the half of it. 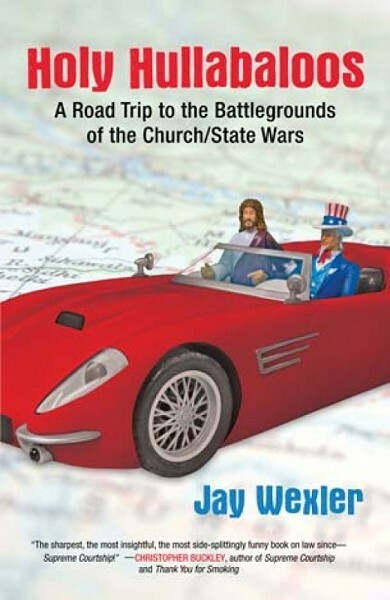 In his new book Holy Hullabaloos: A Road Trip to the Battlegrounds of the Church/State Wars, Wexler explores both high-profile and obscure cases of American states, cities and towns wrestling with whose religious ideas should be squelched, and whose should be pushed into the public sphere. How does a Florida community deal with a Santeria church, where animal sacrifice is a religious ritual? Why should the Ten Commandments stand outside the Texas state capitol—or why shouldn’t they? And should a Muslim school in Cleveland get public funding? With humor and understanding for all sides of such deeply felt issues, Wexler tackles the tangled issues that arise in one nation under many different ideas of God.